All Flortec, Inc. specializes in hardwood floor installation, refinishing, design, repair and restoration in New Jersey and New York, for commercial and residential clients. Our flooring services encompass more than just wood flooring. We also offer molding and tile installations ranging from ceramic and porcelain. Old floor restorations are our specialty! We realize the constraints of time of the average consumer and have initiated various services to compliment each other and to make our customers lives easier by being able to select one outfit to handle their needs. We also realize that it is not only how the job turns out, but it’s about how the work was performed — timely, courteous and any special concerns during or after the work are handled is huge. Over the years, All Flortec has become regarded as one of the top NJ flooring companies around. We’ve accumulated a wide variety of experiences in the industry, giving us the knowledge and skills necessary to facilitate many different types of wood floor installations in both the commercial and residential sects. These experiences include many types of sport floor systems and custom designs. Our goal is an ongoing effort to provide high-quality craftsmanship, products and service at the costs needed to deliver you with the best solution for your hardwood flooring or tile project. We continue to educate ourselves and ou r customers about the leading hardwood flooring concepts, while continuing to set the industry standards in quality and customer service. Whether it is new construction or restoration of existing floors, we are equipped to handle any size job, from repairs to custom design flooring. With our experienced crew and technologically advanced machinery, we will be able to serve all of your hardwood flooring needs — making us the top flooring company in New Jersey! So why choose us at All Flortec Inc., when you have so many options? My name is James Hernandez and I am a LICENSED New Jersey flooring contractor and the owner of All Flortec, Inc. I have been in the hardwood floor installation, hardwood floor refinishing and tile installation business for 20 years and have accumulated a vast variety of flooring installations and concepts. We have satisfied thousands of clients and my word, my work, and my reputation are invaluable to me. We will be there when we say we will; we will do what we say we will do. I will keep communication lines open and will remain accessible throughout and after the work is complete. Most importantly, we are a NJ flooring company that doesn’t claim to be the fastest, or the cheapest . We have no gimmicks, no catches, or no hooks. Who are we? We are guys who do floors and do them well because we love it and take pride in what we do. What else could you want in a floor guy? Give us a call and experience the difference. 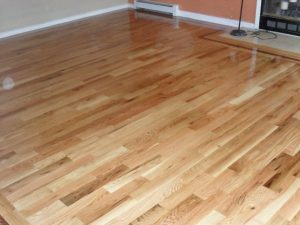 We refinish wood floors and install wood floors and tile floors in most of New Jersey including: Kinnelon, West Milford, Summit, Chatham, Morristown, New Vernon, Vernon, Madison, Mendham, Sparta, Saddle River, River Vale, Alpine, Closter, Cresskill, Westfield, Scotch Plains, Far Hills, Bedminster, Basking Ridge, Bernardsville, Harding, Short Hills, Martinsville, Franklin Lakes, Wyckoff, Essex Fells, Montclair and Glen Ridge. We also service Orange and Rockland County in New York as well as New York City.